After the disastrous April Uprising of 1876, during which the Bulgarians revolted against what they perceived as Ottoman oppression, a multinational group of delegates met at the Conference of Constantinople to solve the "Bulgarian Question." Russia, angered by the Ottoman rejection of a proposed Bulgarian state, declared war on the Ottomans and soundly defeated them. The subsequent Treaty of San Stefano created a large autonomous Bulgaria within the Ottoman Empire, but was later revised. Why? Free running is a physical art in which practitioners use acrobatic movements such as vaulting, jumping, and somersaulting to interact with the environment and pass obstacles along a path in a smooth and fluid manner. The sport is sometimes described as a more adventurous form of jogging, often involving building-to-building jumps and one-story drops. What 2006 action film features SÃ©bastien Foucan, the art's founder, using his free running skills to escape from a construction site? Bell was a scientist and inventor. 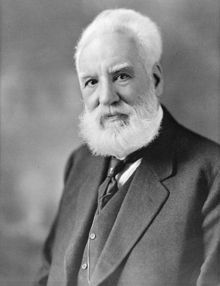 In 1876, he patented the telephone, and he later helped found the Bell Telephone Company, which came to serve as a model for the emerging telecommunications industry. Bell also invented a device that transmitted sound in a beam of light, a machine that tested hearing and detected auditory deficiencies, and an apparatus capable of locating metallic objects in the human body. This last device was hurriedly assembled in an attempt to find a bullet in whose body?